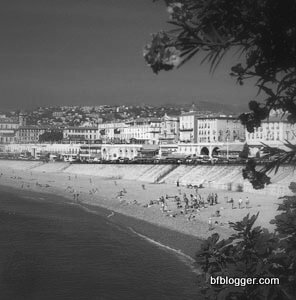 Traveling to Nice to enjoy the beaches is always nice. 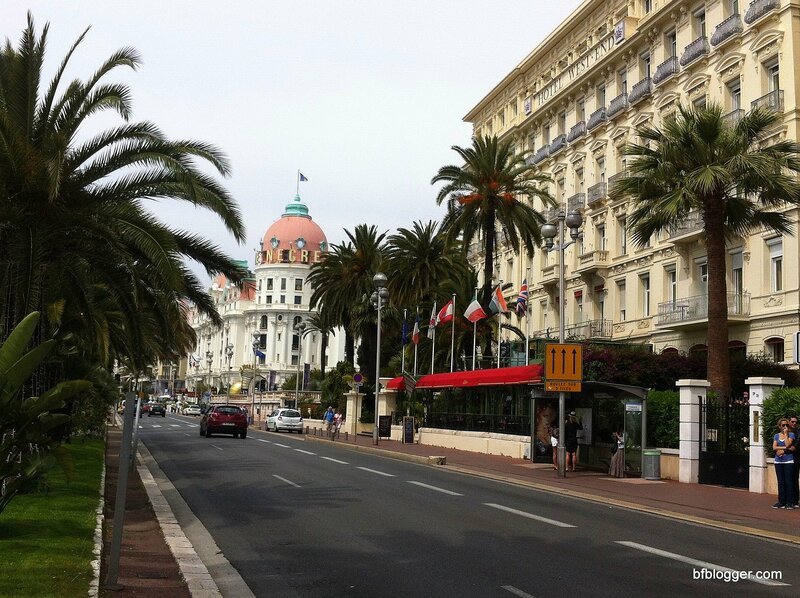 However, don’t forget there’s a city side of Nice to explore, too. 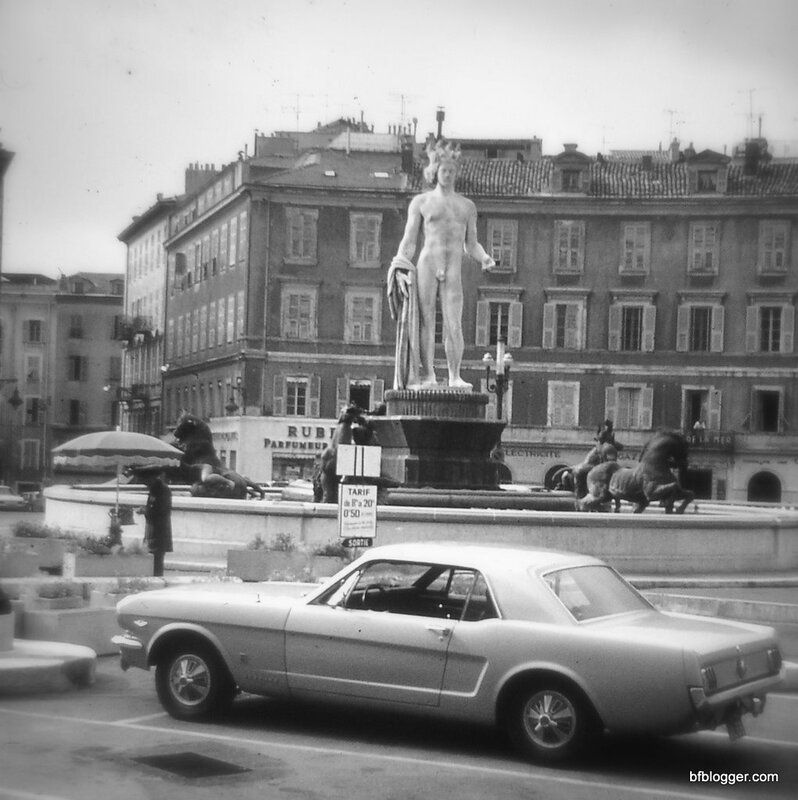 In 1966 I traveled to Nice with two friends from UNC-Chapel Hill. It was a splurge on our “Europe on $5 a Day” budget. 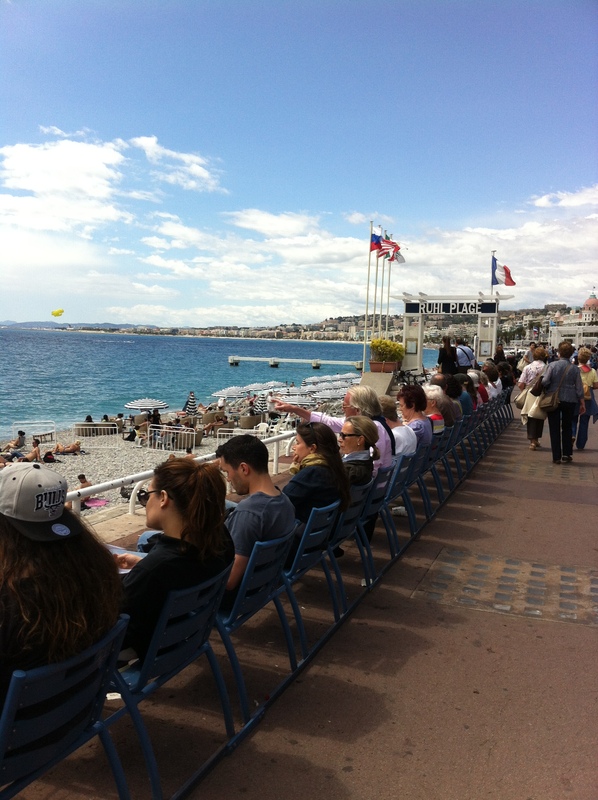 Nevertheless, we had to see the French Rivera. As I recall, it looked much like this. While much has changed, the spirit of the city seems the same. It is still the place where you feel you can “hide out.” No one seems to care what anyone else is doing. And there are so many people of different backgrounds, cultures and languages, there’s no telling who “belongs” there and who is a tourist. Getting around town in Nice is a breeze. If you aren’t up for walking, which is always a good way to sightsee and stop along the way, there are public buses and trams. For those who like to bicycle, you can rent by the hour or more. Unfortunately, I didn’t do my homework on places to eat in Nice. Nor do I have the budget to dine on expensive French cuisine. 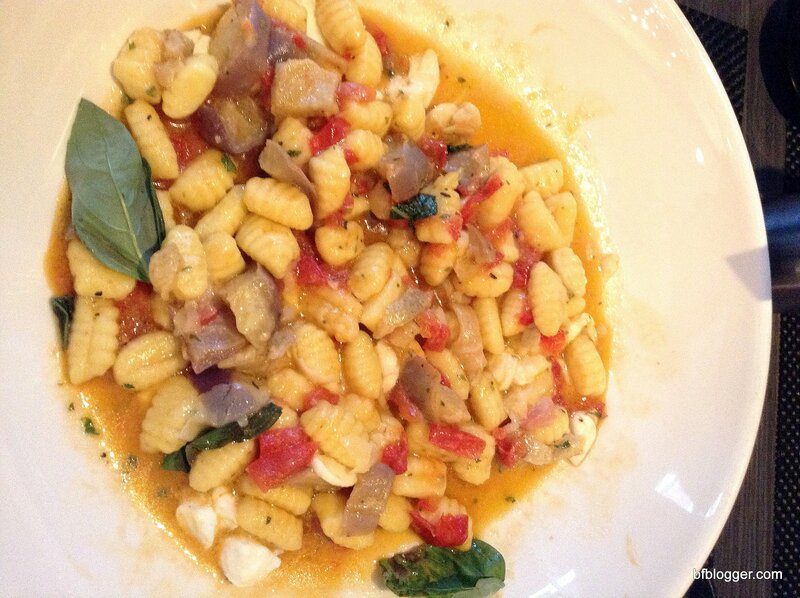 Consequently, all of my meals were disappointing … except for dinner at La Favola. My friends and I discovered it after we had a so-so lunch at a sidewalk cafe. 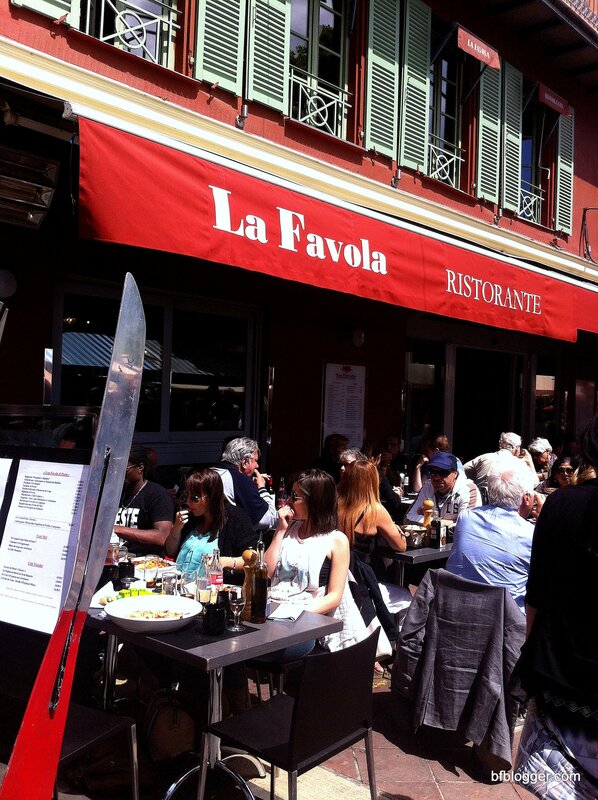 La Favola was the one with the people standing in line waiting for a table. That’s always a good sign. We made a point to go by the cafe for dinner. Here are two of the reasons why La Favola is popular. 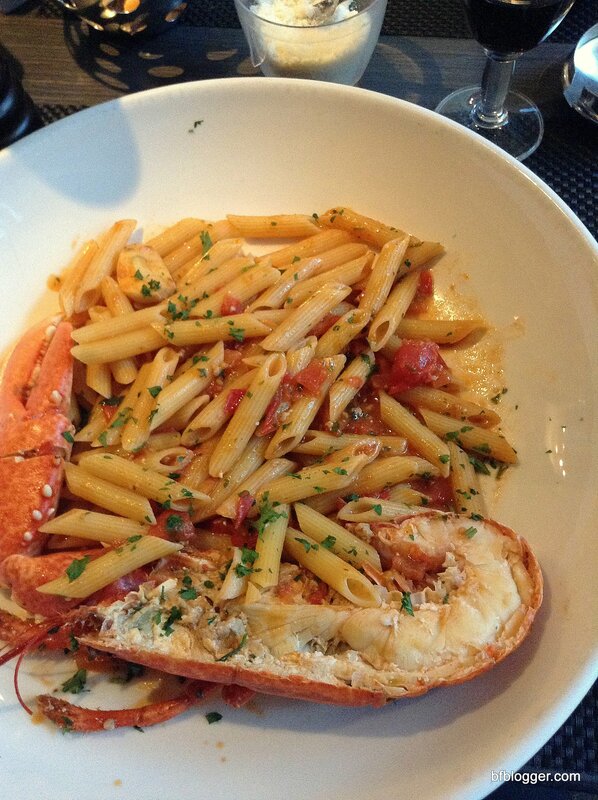 Lobster and pasta for the seafood lover. Gnocchi and Aubergine (eggplant) for the vegan. We didn’t try the antipasta that was lusciously displayed on tables at the front of the restaurant. That’s for next trip. Any of the many choices is a meal in itself. Here’s a link to La Favola’s website (click here) if you’d like to check it out. If you arrive too early for dinner — before 7:00 pm — there are plenty of cafes and bars nearby. 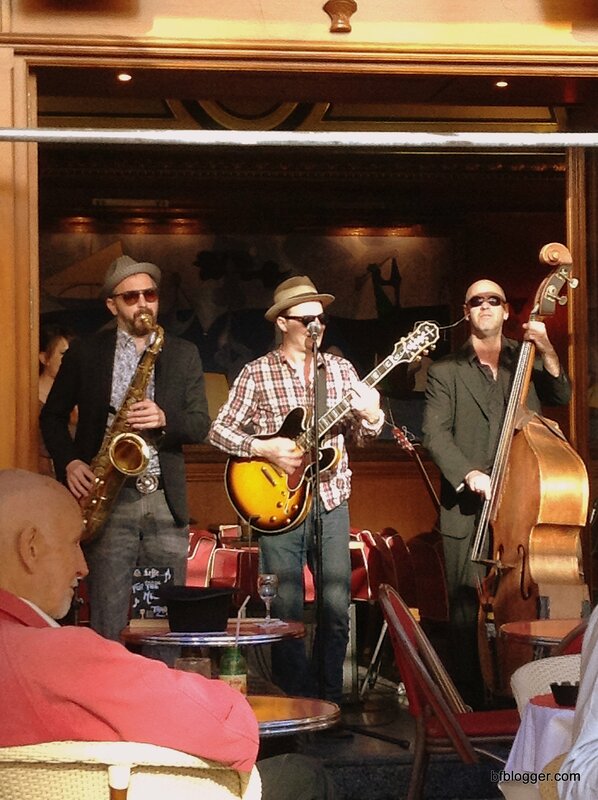 Some with entertainment and music like the Blues Brothers you’ll recognize. Again, I was pleased with my AIRBNB choice in Nice. While my friends had booked rooms not knowing I was definitely joining them, I was looking at the last-minute for a place that would be close to where they were staying. It was a holiday weekend in France, so I was fortunate to find a place … and such a good find. The hosts were friendly and extremely helpful with touring suggestions. I felt like I was a welcomed guest and friend. Since I’m now living in France — a mere three hour drive or train ride from Nice, I’ll definitely be back. These are some of the views from my private room and a link to the “Chambre sur Jardin” on AIRBNB. There are many market days in Nice and I made it to one — the flower market. The brocante (antique, etc.) market is next on my list when I return to Nice again. This is a list for your trip (click here). Maybe I’ll see you there! Since moving to France, I’ve discovered the French love their dogs. It’s not uncommon to find a “chien” in restaurants sitting at the table. If you look carefully at the diners at a sidewalk cafe, there’s often a pet at the patron’s feet. Waiters always accommodate the furry companion with a bowl of water. 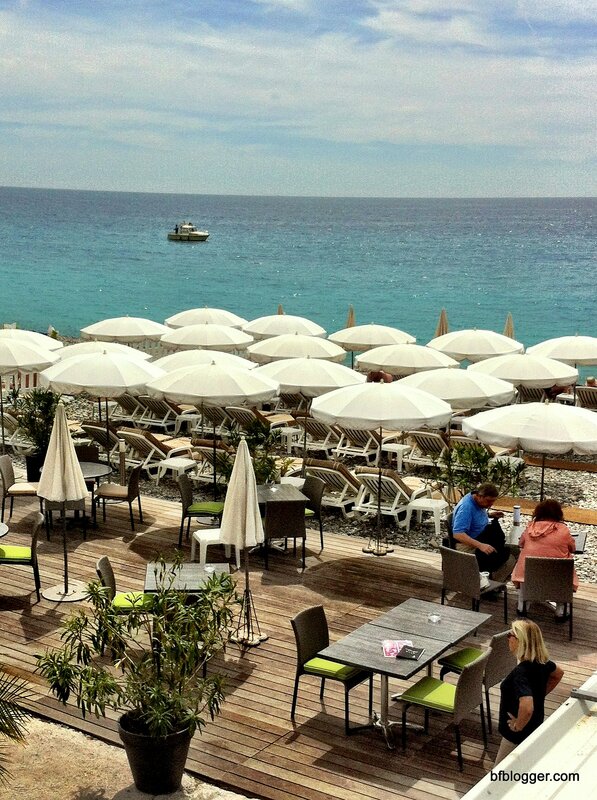 When you get tired of city sites, you can always sit by the sea … the Mediterranean, that is. 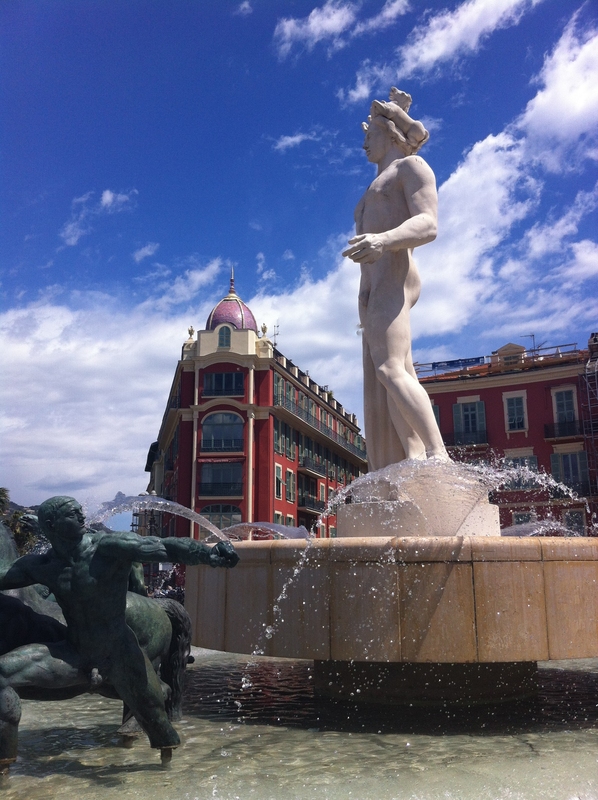 For more tips on traveling to Nice and other destinations in France, here are some ideas from Your RV Lifestyle. 100 Things to do in France. A great resource! If you enjoy this blog, please “like” Barefoot Blogger on Facebook. Be sure to “follow” new blogs, too. Just sign up for an email notice. 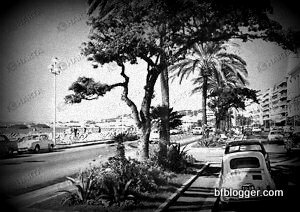 I love Nice, and if I could afford it, that’s where I would live! I do get emails with available rentals…so, who knows. I need to connect you with a friend from philly who has just moved there … Solo!